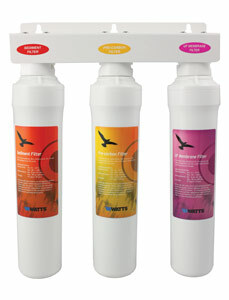 The Watts WQCFU-T 3-Stage Kwik-Change Ultrafiltration Water Filter System is a low cost alternative to reverse osmosis. 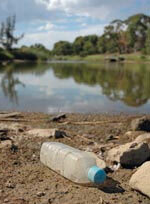 There is no reject water so 100% of the water run through the system is used. Since there is no tank and no drain connection necessary, installation is quick and easy. 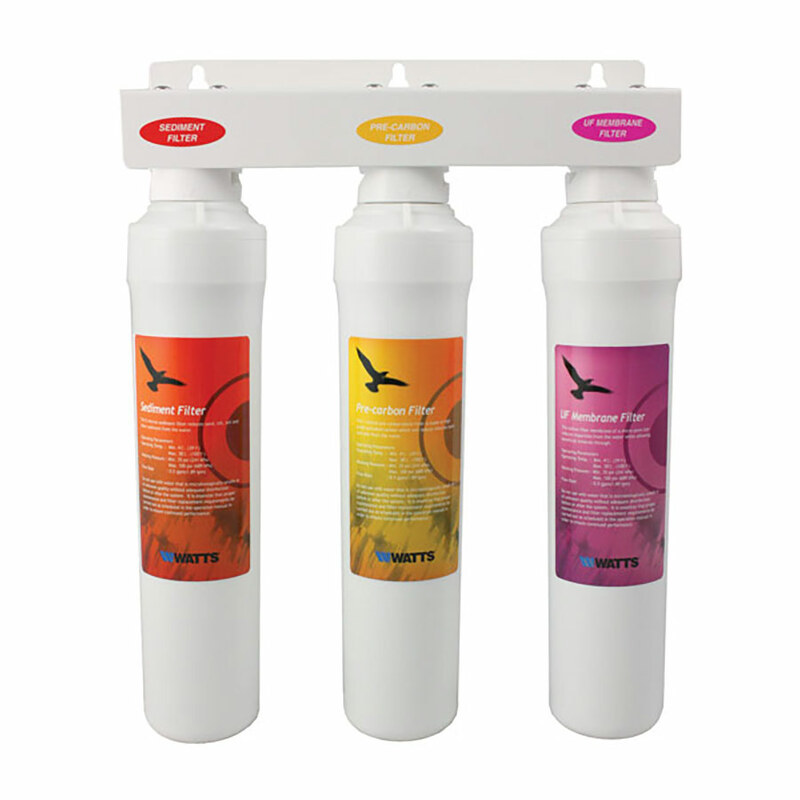 The WQCFU-T home ultrafiltration (UF) drinking water system will give you great tasting drinking water while leaving in essential nutrients. This System does not include a Faucet, Installation Hardware or Tubing.